How do I setup Onyx on Android? First, you’ll need to download the Orion app. 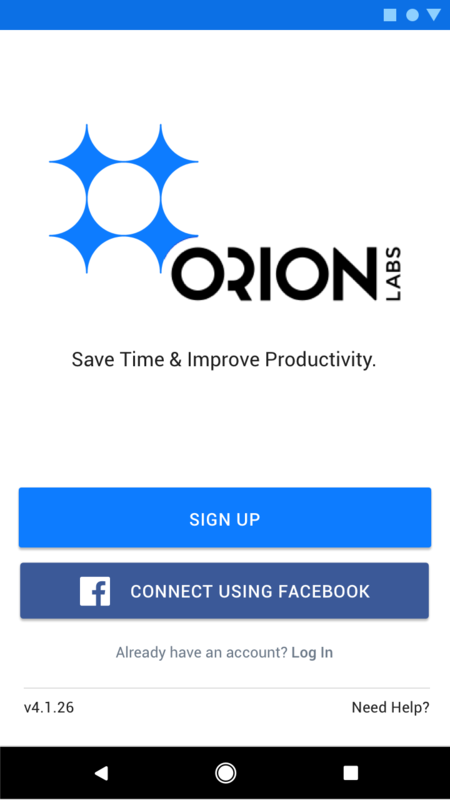 You can click the button to the left, or launch the Google Play on your device and search for “Orion Labs” to find it. Tap “Log in” at the bottom of the screen. Log in using the email address and password you chose when signing up for your Orion account. Once you log in, you’ll be brought to the welcome screen. 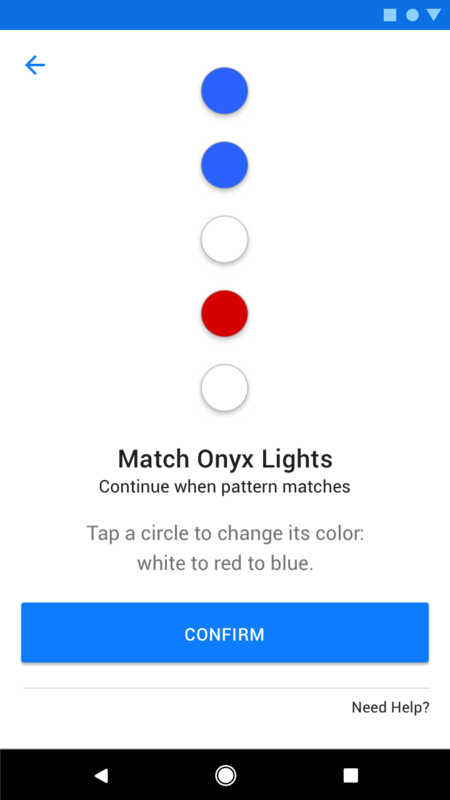 Tap “Connect”, within “Connect to join with Onyx” at the top. Make sure your Onyx is powered on by pressing and hold volume up or down (on the right side of your Onyx) for a few seconds. Once you’ve ensured they match, tap “Confirm”. 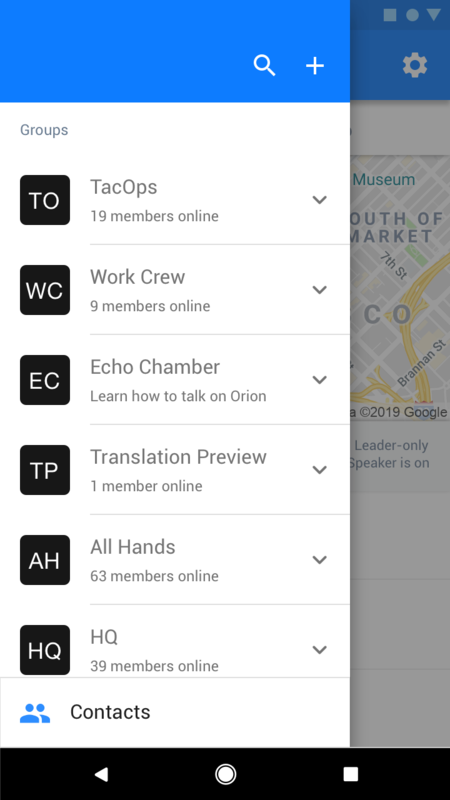 You will see two groups: “Echo Chamber” and “Translation Preview”, as well as any additional groups an admin has added. Join Echo Chamber to learn how to talk using Onyx. If you already have other groups in your list, you can tap to join one of those and start talking to other members of that group with Onyx. When you’re in a group, you'll see a list of the group's members below the map. ⃝ Blue - Active: Ready to listen and talk. ⃝ Yellow - Silent: Can't hear or talk to people. 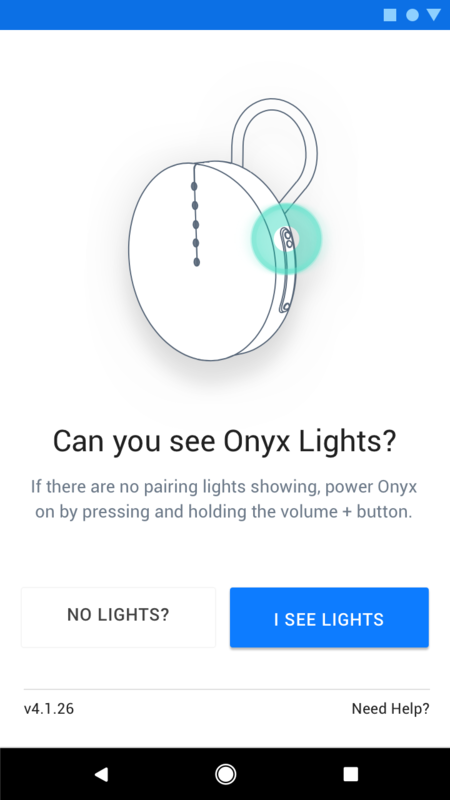 If vibration is turned on in a user’s Onyx settings (available to Orion Pro customers), the Onyx will vibrate when anyone is talking. ⃝ Gray - Offline: This indicates a user is either in another group, not in any groups, or completely offline. They won’t be able to hear anyone talking. 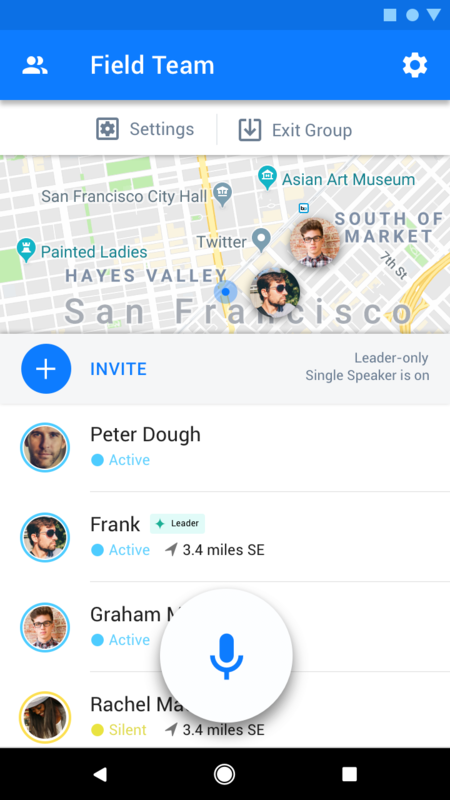 Members may choose to share their location (or not) on the map. If the group has any Leaders, a ✦ will appear before their name in the member list. 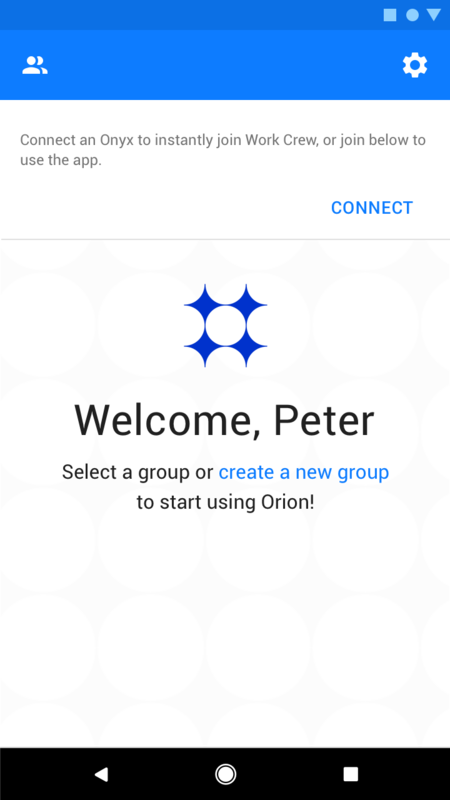 Group Leaders have the ability to configure group settings from within the Orion app, while Basic members do not.